Bookings now being taken throughout 2019. Welcome to our Clashview Cottage and Caravan web-site! We have been the owners of Clashview since 2006. 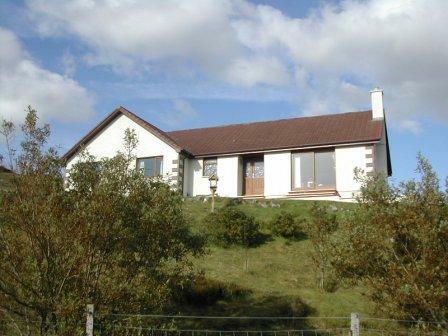 Clashview is a dog friendly five bedroom, spacious and luxurious modern cottage set within its own grounds of almost two acres, overlooking Loch Clash, and Kinlochbervie's harbour. 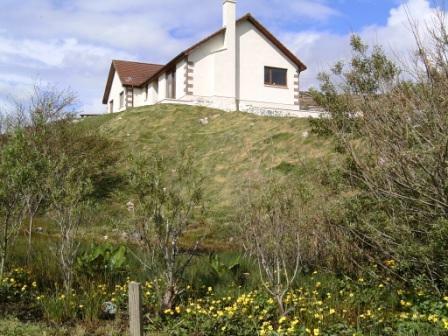 It is located on the edge of Kinlochbervie village close to the local hotel, shops and medical centre. The Cottage is both dog friendly and non-smoking. Clashview cottage can accommodate up to 10 people in five separate bedrooms. The master bedroom has an ensuite with shower. There are a further two double bedrooms and two twin bedrooms in the cottage. The fully modernised kitchen and dining room are open plan. The sitting room has two large sofas and enjoys views across the sea. Outside the property, full use can be made of the extensive grounds which has a barbecue and two picnic tables. * DVDs, books and board games. The cottage can be let for breaks of two nights or more, however because of fixed overhead costs for each entry and departure, the cost per night will be higher than that for a full week booking. Please see our prices and availability section for details. If Clashview is unavailable or too large for you, please consider our other properties at Sandwoodway and Inchardview, or the static caravan we have located on our Clashview site, with information about it here in this website. 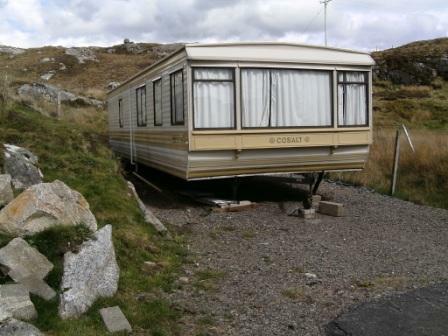 Clashview caravan is located in the gounds of Clashview cottage and connected to mains electricity, water, and drains. Situated near the main entrance, and set back from the driveway in a location secluded from the main house, there are parking spaces to its front. 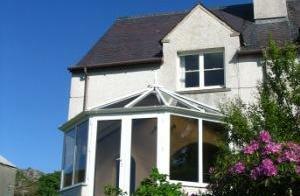 It can be rented together with the cottage or as a separate holiday let. The caravan is dog friendly, and non-smoking. The static caravan at Clashview has two bedrooms and sleeps 4 - 6 people. There is an open plan dining area and sitting room, with kitchen area beside the dining area, a shower room, and separate toilet. One bedroom has a double bed and the other a twin bunk bed. These are illustrated in photographs on the Caravan page here. * Laundry out-house, with washing machine and separate tumble dryer, for exclusive use of caravan. * Free Wi-Fi in sitting room area.